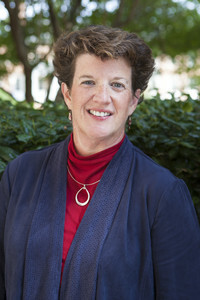 Margaret L. Johnson, SLP.D., CCC­SLP, joined the College of Health Sciences as associate professor and chair of the Department of Communication Sciences and Disorders in August 2013. She has more than 25 years of clinical experience in neurogenic speech­language pathology and currently practices at the University of Alabama at Birmingham in the area of aphasia. Dr. Johnson spent 18 years in the Communication Sciences and Disorders Department at the University of Montevallo as an assistant professor and eventually as acting chair. An article written by Johnson and colleagues describing a therapy technique utilized for individuals with aphasia was featured in the December 2013 issue of the American Journal of Speech Language Pathology. Johnson is an ASHA fellow and has served in leadership roles for local, state and national professional organizations. Among other honors, she has received the Outstanding Graduate Teaching Award presented by the University of Montevallo, and the Speech and Hearing Association of Alabama’s Distinguished Clinical Achievement Award.